Three general use internet computers are available for library patrons and community members. The teen room and children's area also offer computers for public use. 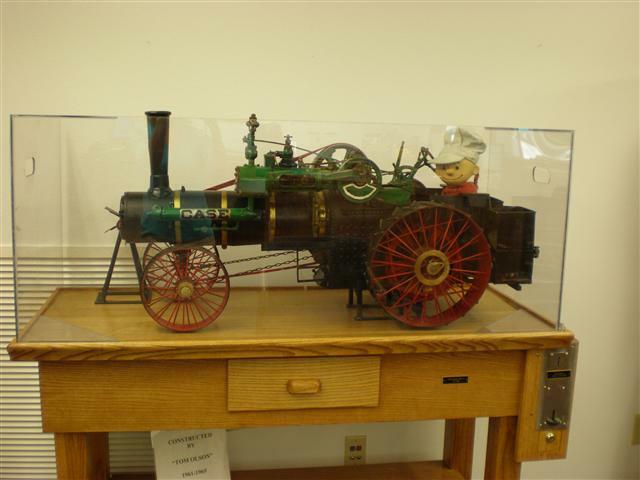 A miniature working Steam Engine built and donated by Tom Olson of Strum is on display at the Strum Public Library. Put in a quarter and you can see the steam engine in operation during normal library hours. 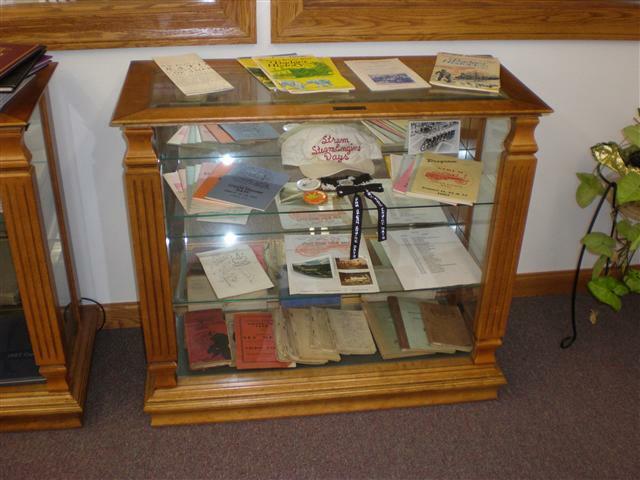 Additional displays contain artifacts and other pieces of local history that anyone can view during normal library hours. Historic photos are hanging in the library, as well. 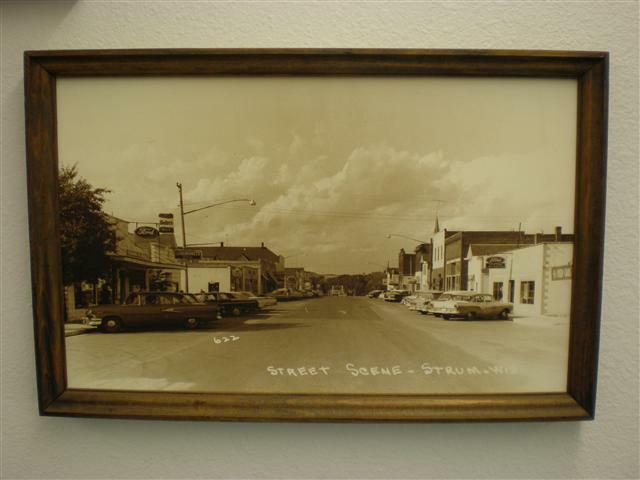 Click Here to link to the Matson-Garson site containing great historical information about Strum and the Town of Unity and pioneer families that settled the area. Community Room A community room is available to be used by local non-profit groups for meetings or special events. Tables, chairs, and a small kitchen area can be utilized. Call the library for more information at 715-695-3848. 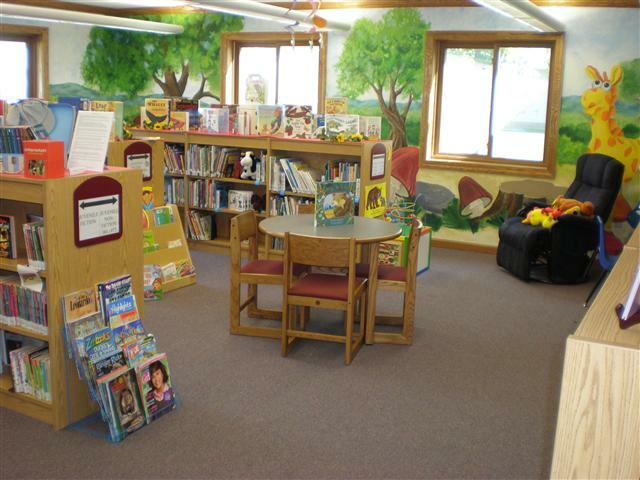 The Children's Area features lovely painted murals, kid-friendy shelves, books, movies, books on tape, a computer, child-sized furniture and more. It is a very welcoming atmosphere for children and people of all ages. 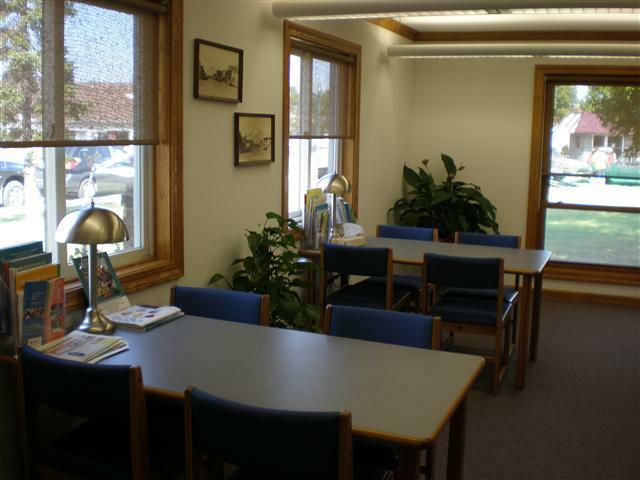 A special room for young adults is separated from the main library by windows and features booth style seating, unique materials for the age group, and computer.